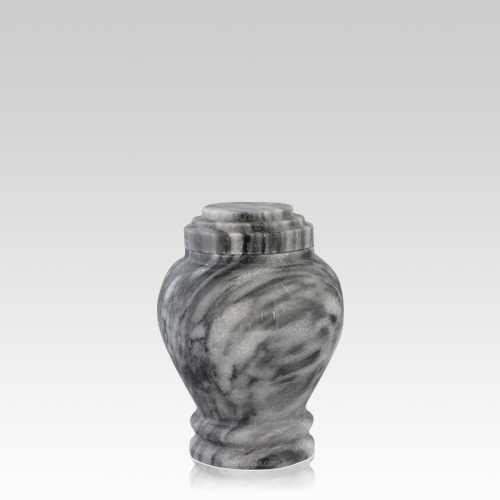 The Embrace Marble Keepsake Urn is made of natural marble and finished to perfection. The soft gray color of the stone will bring peace to your heart, while the natural striation throughout will create a stunning visual effect. Because this urn is made of natural materials, slight variances in the color and patterns are to be expected. This keepsake urn is perfect to keep a small part of your loved one near by at all times.